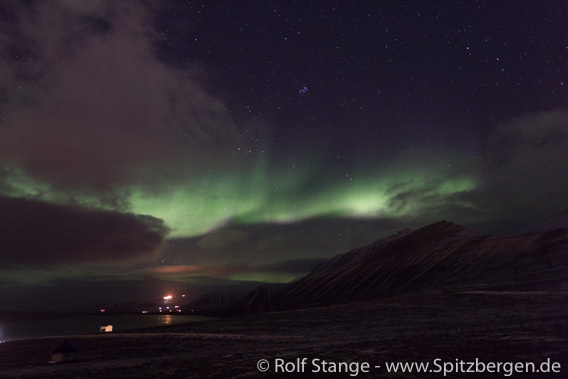 northern lights, Aurora borealis – is not yet quite perfect. 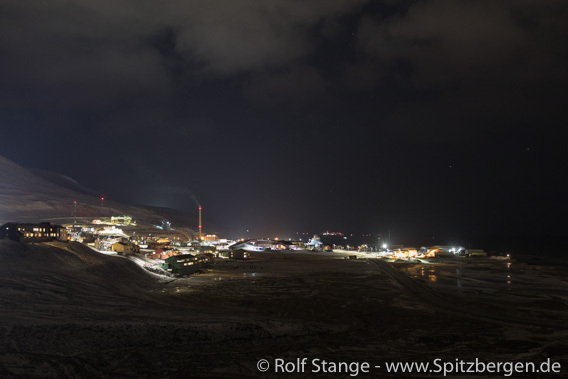 Longyearbyen in the polar night. 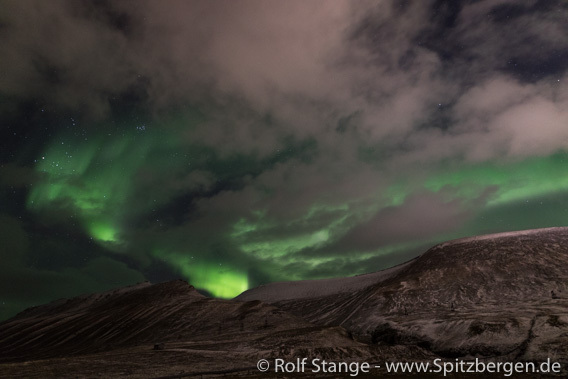 But anyway – it is always beautiful here, with or without northern lights. Life is going a bit more slowly here now in the dark season. You spend some more time seeing friends, you go for walks, make sure you get a bit of exercise. And of course normal life and work is going on, it is a great time to put new panoramas together or to work on a new book 🙂 well, things like that. Northern light over Lindholmhøgda and Gruvedalen. And then you just happen to be at the right place at the right time 🙂 there could have been fewer clouds, but still, some of them are actually quite good for decoration … so we had a lovely northern light dancing over Adventdalen, with a hint of purple at the lower edge on the otherwise green curtains of light. 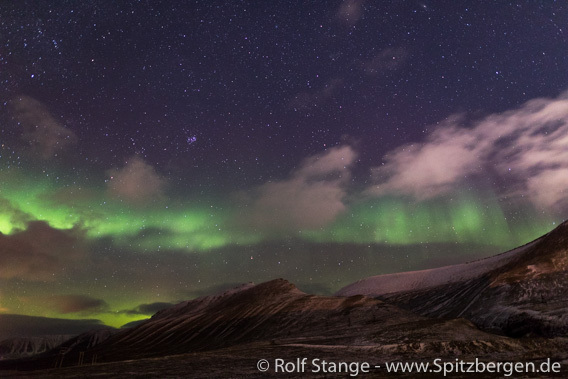 And one more because it is so beautiful: northern light over Adventdalen.